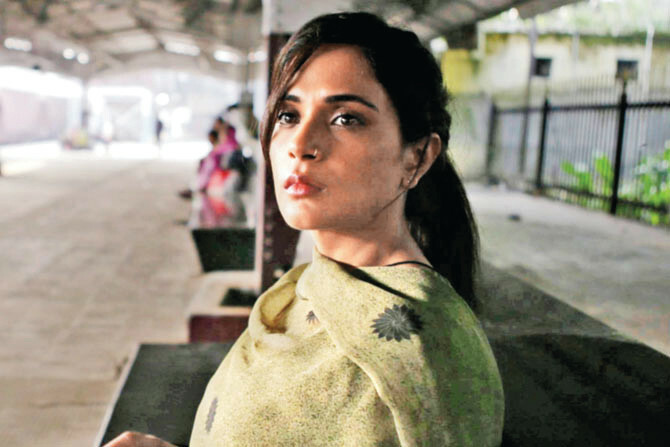 Actress Richa Chadha says working in David Womark’s Indo-American production “Love Sonia” has opened up a new world of filmmaking in front of her. Directed by Tabrez Noorani, “Love Sonia” depicts the brutal realities of human trafficking across the globe. The film also features Hollywood star Demi Moore, veteran actor Anupam Kher and actress Freida Pinto. “This film really opened up my perspective on filmmaking as a process and I got an opportunity to work with some of the best names from across the world,” Richa said in a statement. “For any actor to be a part of film like ‘Love Sonia’ is beyond satisfying… The cast, crew everyone who I worked with on ‘Love Sonia’ was an education for me,” she added. Richa’s first look from her international venture is out. In the image, Richa can be seen in an off-shoulder outfit, and seems to be getting ready for a shot.